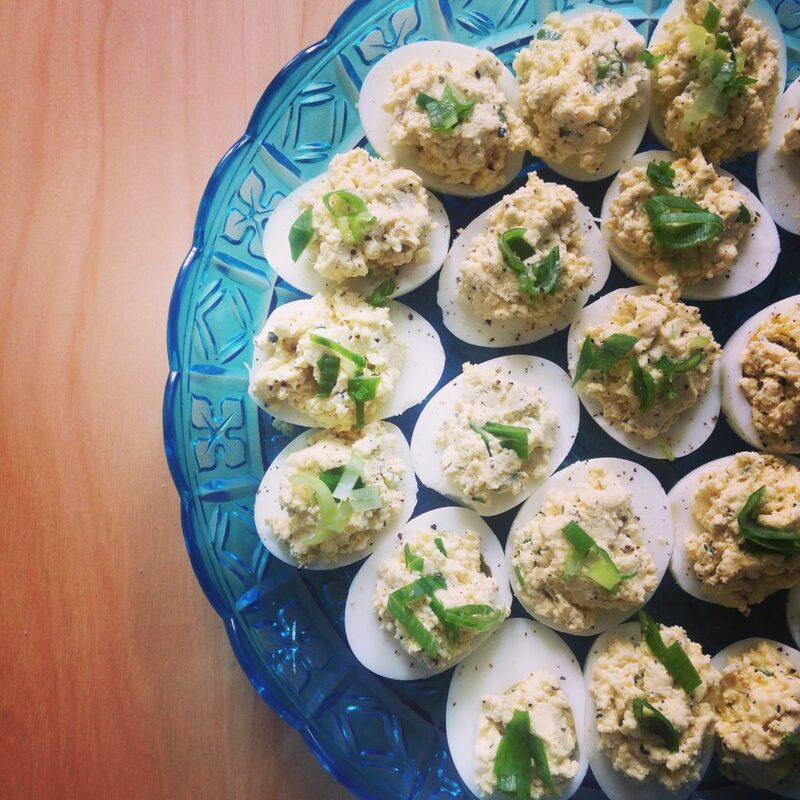 You ever notice how the deviled eggs show up to the party table when no one is looking? In my opinion, no missed opportunity is worse than overlooking the deviled eggs. So, naturally when my coworker threw a housewarming/potluck, these were at the top of my list of appetizer ideas. I like to play with the mixtures and see what develops. For these, I replaced the mayo with Greek yogurt and goat cheese. They’re finished with scallions and a generous amount of cracked black pepper. [PRO TIP] if you use eggs that are fresh from the shop, they tend to be a little tough to peel after hard boiling. Give them about a week and a few days in the fridge before boiling and they’ll still be delicious but a lot easier to peel when cooked.